Healthcare PR Pros: Our client is a leading independent firm, looking for an experienced Associate Director with both a healthcare and corporate reputation background. You’ll work with industry leaders in the healthcare space through a corporate lens, going beyond traditional PR work: branded content, healthcare marketing, crisis preparedness and corporate citizenship. This fast-growing firm is looking for someone with 7-10 years’ of experience with a true entrepreneurial and leadership mindset. Need someone intellectual curious, and can be a trusted advisor to clients and staff. Contact me at eric.blinderman@quantum-us.com. The Rangers Digital Manager will support the Rangers Digital Marketing team with a specific focus on strategy, content and the social platforms across the team’s digital landscape. As such, this role supports content creation and implementation for Rangers social & digital channels and includes live coverage of all Rangers games and events related to the business. This position reports to the Rangers Director, Digital and responsibilities include executing the overall digital strategy in partnership with the Marketing/Brand leads; maintaining and updating the editorial calendars for the above brands; providing weekly/monthly calendars for team’s review in advance of publishing; for creating compelling content opportunities/stories; and working on executions to meet goals for engagement, ticket sales and partnerships. The full brand digital eco-system includes: Instagram, Facebook, Twitter, Snapchat, YouTube and Web. At the core, this candidate is a creator, has a deep passion for storytelling with a sports lens, always looking for what is new in the marketplace and how we can continue to push ourselves to be best in class. Knowledge of the Rangers and hockey is a key requirement. Large and constantly growing home care agency located in South Bronx is hiring for full time entry level financial operations position. Position responsibilities include but are not limited to billing collections, posting of incoming payments, payroll and other finance projects as needed. Great opportunity to be an integral part of the team, learn and develop valuable skills, with great growth prospects in the position and company. Candidate should be: Organized and able to manage multiple priorities and projects; detail oriented; a problem solver; eager to learn new things and take on challenges. Please email resumes to resumesamz5@gmail.com. HASC has locations in Boropark, Canarsie, Woodmere and Monsey. If you want to be part of HASCs dedicated team of professionals please send your resume to Cheryl.follman@hasc.net indicating which position and which location you are interested in. We are conducting a search on behalf of our client for a Head of Application Development to lead their hugely successful global online presence. This is a huge B2C site that offers 350,000+ products and at peak times processes up to 20,000 transactions a day. The site processes large volumes of transactions elegantly and seamlessly. This is a tremendous opportunity to join a well- established and growing company to oversee and contribute to the continued growth of their global award-winning site. The Head of Application Development will drive the continued growth and evolution of the site and is a key member of the Senior Ecommerce Team. The Head of Application Development will be responsible for overseeing the entire software development process and team – including architecture/design, coding, QA, and release management – within a dynamic Agile environment. We are seeking a dynamic, energetic and visionary leader with deep, broad and cutting edge experience in online retail technologies. My law firm, Clarick Gueron Reisbaum, is seeking a new associate with 2-4 years of experience. As an associate here myself, I can vouch that it’s a really unique and wonderful place to work. Feel free to reach out to me with any questions, and if you’re interested in applying send a resume to my colleague Chante at the address below. You should have outstanding credentials, be an excellent writer, and possess an entrepreneurial spirit. If you are interested, please send a resume and transcript to Chante Williams (cwilliams@cgr-law.com). Paraprofessional is wanted for smart, energetic and friendly second grade boy. Ideal days/hours are Monday-Thursday 8am-3:20pm. Start date is immediate through the end of the academic school year. The DoE pays $20-30/hour for this position. The family is open to supplementing the paraprofessional privately if experience and skills are commensurate. Qualified candidates must (1) be patient, (2) demonstrate good communication skills, and (3) have had some experience with children (camp counselor, group leader, teacher’s aide, etc).  Monsey Medical Center is seeking a Yiddish Speaking play therapist to work in our Behavioral Health Department 2 days a week. Candidate must be trained to use play therapy as a means for understanding and communicating with children about feelings, thoughts and behavior. Must have current NYS License in Social Work. Excellent pay! Please send resume to switonsky@cmadc.com. or call 845-770-1976. NYLife Brooklyn/Monsey office is looking to hire Outside Sales Agents who are focused on building a network of clients, and helping those clients meet their insurance and financial needs. Unlimited earning & growth potential. On job training provided. The Social Media Manager will support the Knicks Digital Marketing team with a specific focus on digital content and social platforms across Knicks and Knicks Gaming. As such, this role supports content creation and implementation for both Knicks and Knicks Gaming social & digital channels and includes live coverage of all Knicks games and events related to the business. This position reports to the Knicks Digital Marketing Lead and responsibilities include executing the overall digital strategy in partnership with the Marketing/Brand leads; maintaining and updating the editorial calendars for the above brands; providing weekly/monthly calendars for team’s review in advance of publishing; for creating compelling content opportunities/stories; and working with the creative team on execution to meet goals for engagement, ticket sales and partnerships. The full brand digital eco-system includes: Instagram/Instagram Live, Facebook/Facebook Live, Twitter, Snapchat, YouTube, Google, Weibo. Knowledge of basketball and the Knicks is a key requirement. SINAI Maor High School in Livingston, NJ, is seeking experienced, motivated and qualified special education high school teachers to work as part of its highly collaborative and interdisciplinary team for the 2019-20 academic year. Teaching positions are available in both general studies and Judaic high school subject areas. Qualified minorities and/or women are encouraged to apply; EEO. Enter your email address to receive update on all JCC events and community projects.